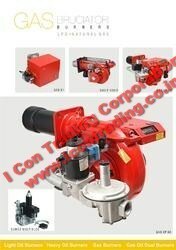 Pioneers in the industry, we offer flamco oil burner, flamco heavy oil burner and flamco gas burner from India. Backed by our professionals technical brilliance, we are supplying and trading premier quality Flamco Oil Burner. These burners have profound use in boilers for combustion process, due to their high accuracy, precise control system and high robustness. The procurement of these burners are done from reliable vendors, who provides maximum assurance of long term functionality and high compatibility. We have earned respectable position in this domain by supplying and trading best quality Flamco Heavy Oil Burner. Our offered burners are highly durable and precisely designed, hence have wide use in boilers which utilizes heavy oil as fuel for combustion. 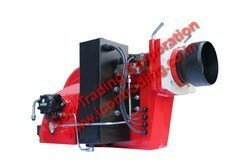 We procure these burners from one of the most reliable vendors, which makes them highly efficient for longer time span. After their procurement, we inspect these products under stringent quality norms for ensuring their performance with maximum accuracy. We are known to be a prominent firm instrumental in supplying and trading qualitative assortment of Flamco Gas Burner. These burners are proved to be a valuable investment for wide variety of boilers in combustion processes utilizing gaseous fuels. The procurement of these burners are done from well reckoned vendor, who makes good use of raw materials and technology for their fabrication. 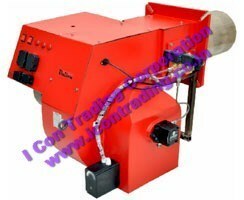 Furthermore, we make defect free delivery of these burners under stipulated time frame. Looking for Flamco Burner Spare Parts ?